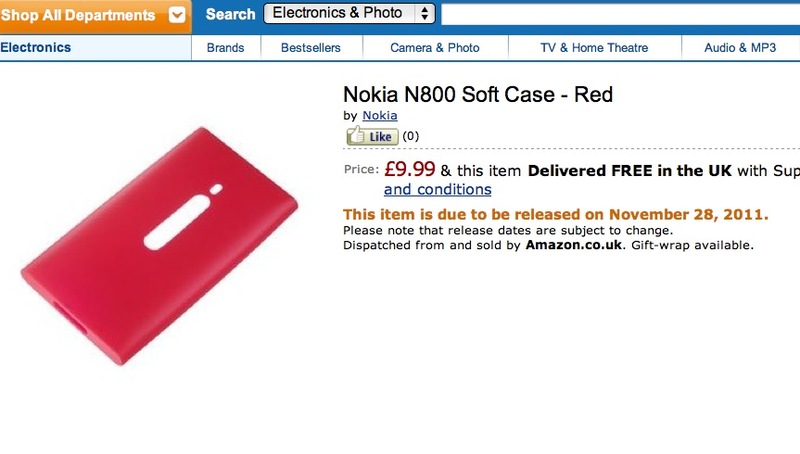 Martin emailed us a product listing on Amazon UK showing a silicone case accessory for the Nokia 800. It’s pretty similar to the N9 case, except for the moved LED (and possibly an additional cut out for camera button). The listing though puts “N800” aka the internet tablet as opposed to just 800. The Nokia 800 hasn’t even been announced yet, and we already have accessories – though that hasn’t stopped Nokia putting out teaser adverts on TV. N9 cases are also available (even though they’re not coming to UK), that might fit if the dimensions (and not just shape) are the same.